JUST GOT A WHOLE LOT BETTER! PureFlow’s™ new PF200 Diesel System provides the most effective, most reliable fuel delivery system ever for removing air and vapor from your fuel and eliminating cavitation at the transfer pump that robs your engine of fuel economy and power. 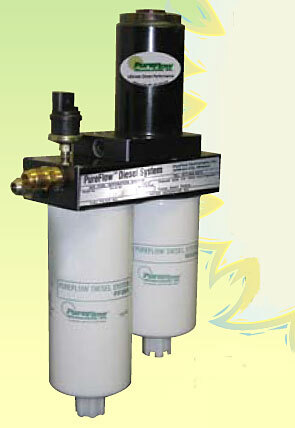 PureFlow’s™ new PF200 Diesel System provides the most effective, most reliable fuel delivery system ever for removing air/vapor from your fuel and eliminating cavitation at the transfer pump that robs your engine of fuel economy and power. CUMMINS, POWERSTROKE AND CUMMINS ENGINES.